Ships today if you order in the next 5 hours 11 minutes. 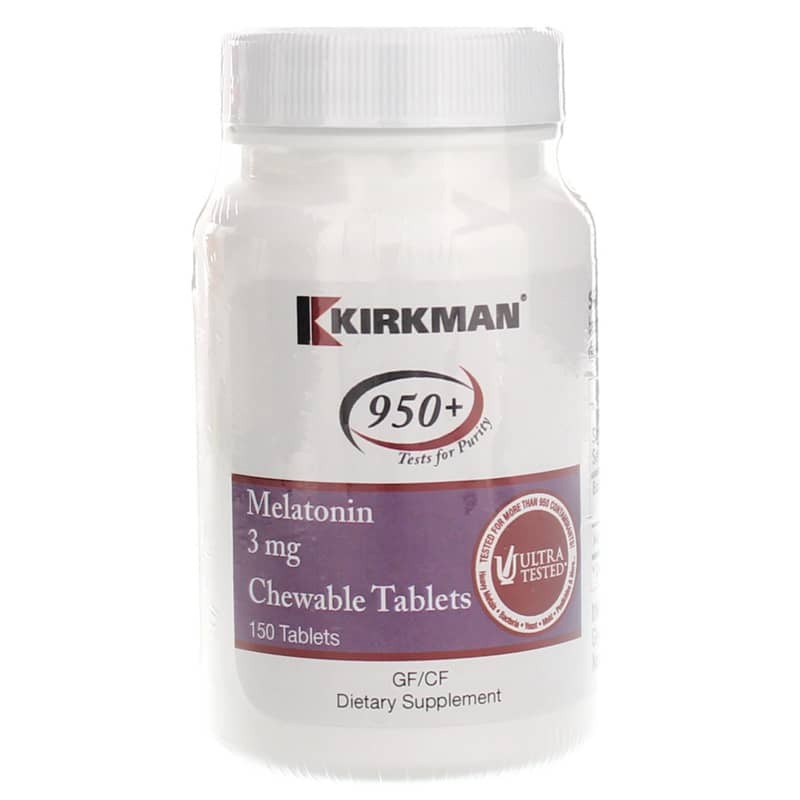 For professional, but natural, support for occasional sleeplessness, get Melatonin 3 mg Chewable Tablets from Kirkman. 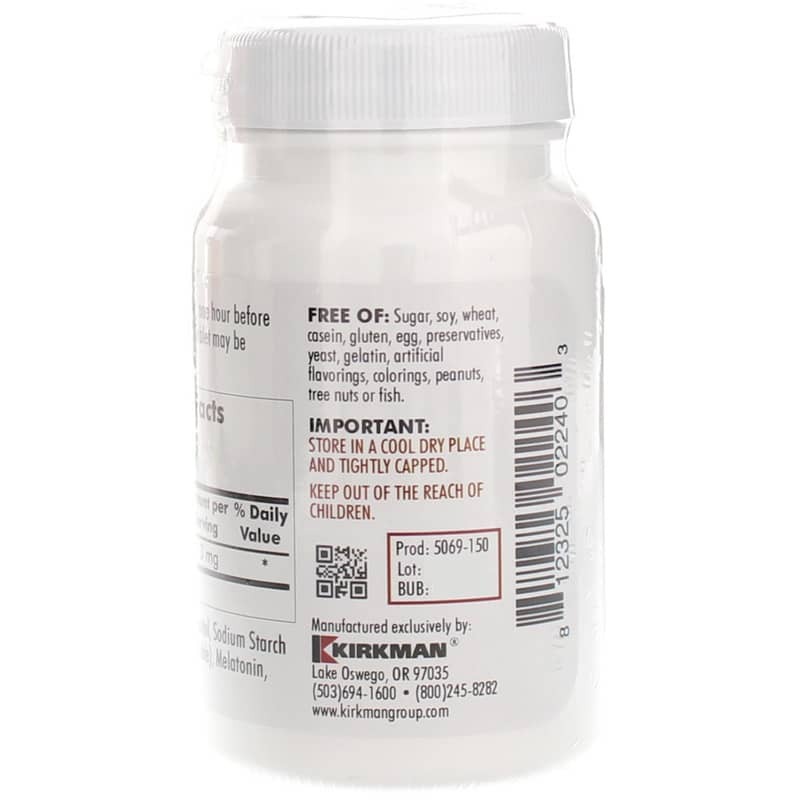 Part of Kirkman's professional line of supplements, this natural sleep support supplement provides 3 mg melatonin per chewable, menthol-flavored tablet. Playing a key role in our circadian rhythm - or our sleep and wake cycle - melatonin is a hormone that's manufactured from the neurotransmitter serotonin and secreted by the pineal gland. Just before bed, darkness stimulates melatonin secretion, which readies our body for sleep. Unfortunately this cycle can be thrown out of balance at times, whether we're dealing with stress, odd work hours or jet lag. Melatonin supplementation may help the body adjust to occasional disturbances in sleep. Melatonin may also have antioxidant properties and may support the methylation process, which is important for the absorption and utilization of vitamin B-6. This unique chewable formula has a natural menthol flavor for easy - and refreshing - supplementation. Free of gluten and casein, this supplement is also Ultra Tested, meaning it's been tested for more than 950 contaminants. Get professional support a good night's sleep. Order Melatonin 3 mg Chewable Tablets today. Ingredients: Sorbitol, Mannitol, Sodium Starch Glycolate, Magnesium Stearate (Vegetable), Melatonin, Natural Menthol Flavor. Contains NO: Sugar, soy, wheat, casein, gluten, egg, preservatives, yeast, gelatin, artificial flavorings, coloring, peanuts, tree nuts or fish. Adults: One tablet, one hour before bedtime or as directed by a physician. 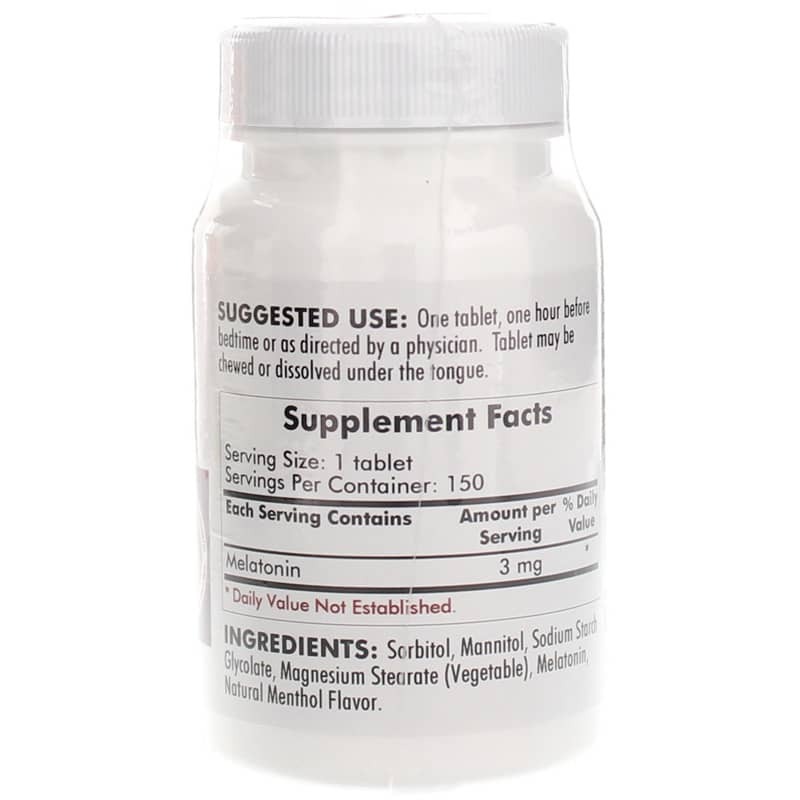 Tablet may be chewed or dissolved under the tongue.